Pr.CIT-5 vs. Shri Mahila Sewa Sahakari Bank Ltd.
Ms. Harsha Devani And A.G. Uraizee, JJ. Ms. Harsha Devani, J. – The appellant – revenue in this appeal under section 260A of the Income-tax Act, 1961 (hereinafter referred to as “the Act”) has called in question the order dated 27th March, 2015 passed by the Income Tax Appellate Tribunal, Ahmedabad Bench ‘C’ (hereinafter referred to as “the Tribunal”) in ITA No.62/Ahd/2014. 5. The assessment year is 2010-2011 and the relevant accounting period is the previous year 2009-2010. The respondent assessee, a co-operative bank, filed its return of income for assessment year 2010-11 on 30th September, 2010 declaring total income of Rs.1,55,66,430/- wherein it did not show interest income on non-performing assets (NPA) as according to the assessee such interest was not realisable. 5.1 The Assessing Officer was of the opinion that interest on the NPA had accrued to the assessee, even if it was not actually realised, as it was following the mercantile system of accounting and accordingly added a sum of Rs.1,72,73,000/-to the total income of the assessee. The assessee carried the matter in appeal before the Commissioner (Appeals), who upheld the order passed by the Assessing Officer. The assessee challenged the order of the Commissioner (Appeals) before the Tribunal, which allowed the appeal by deleting the interest. Being aggrieved, the revenue is in appeal. 6. Mr. M.R. Bhatt, Senior Advocate, learned counsel for the appellant, submitted that under section 5 read with section 28 of the Income-tax Act, the liability attaches to profits which have been either received by the assessee or have accrued to him during the year of account and that income accrues when it falls dues, that is, becomes legally recoverable irrespective of whether actually received or not and accrued income is that income which the assessee has a right to receive. It was submitted that in the facts of the present case, merely because the assets have been declared as NPA does not mean that the income has not accrued, since the assessee still has the right to receive the interest on such assets. According to the learned counsel, insofar as the liability under the Income-tax Act, is concerned, the same is governed by the provisions of that Act and merely because for accounting purposes, the assessee is required to follow the RBI Guidelines, does not mean that the assessee is not liable to show the interest income that had accrued to it under the mercantile system of accounting. It was submitted that the case of the assessee has to be dealt with for the purposes of taxability as per the provisions of the Income-tax Act and not the Reserve Bank of India Act, 1934 (hereinafter referred to as the “RBI Act”) which was the accounting method which the assessee was supposed to follow. It was submitted that in case of mercantile system of accounting, what has to be seen is whether any income has accrued and as to whether the assessee has a right to receive such interest. It was pointed out that interest on NPAs is not the same as interest on bad debts. Insofar as the interest on NPAs is concerned, the chances of recovery may be remote but since the NPAs are not classified as bad debts, and action has to be taken for recovery of such debt, the interest income accrued thereon is exigible to tax. 6.1 It was submitted that in view of catena of judgments, it can be safely contended that accounting principles cannot override the provisions of the Act. Reliance was placed upon the decision of the Supreme Court in the case of Tuticorin Alkali Chemicals & Fertilizers Ltd. v. CIT  227 ITR 172/93 Taxman 502 (SC), for the proposition that it is well-settled that tax is attracted at the point when the income is earned. Taxability of income is not dependent upon its destination or the manner of its utilisation. It has to be seen whether at the point of accrual, the amount is of revenue nature. If so, the amount will have to be taxed. The court further observed that it has very often referred to accounting practice for ascertainment of profit made by a company or value of assets of a company. But when the question is whether a receipt of money is taxable or not or whether certain deductions from that receipt are permissible in law or not, the question has to be decided according to the principles of law and not in accordance with accountancy practice. Accounting practice cannot override section 56 or any other provision of the Act. It was submitted that there will be accrual of income if the right to receive money exists. In this regard reference was made to the decision of the Supreme Court in the case of Raja Mohan Raja Bahadur v. CIT  66 ITR 378, wherein the court observed that the Income-tax Act does not contain much guidance as to cases in which tax is to be levied on income received, and cases in which tax is to be levied on income accrued or arisen. If accounts are maintained according to the mercantile system, whenever the right to receive money in the course of a trading transaction accrues or arises, even though income is not realised income embedded in the receipt is deemed to arise or accrue. Where the accounts are maintained on cash basis, receipt of money or money’s worth and not the accrual of the right to receive is the determining factor. 6.2 Reliance was also placed upon the decision of the Supreme Court in the case of Indermani Jatia v. CIT  35 ITR 298. Reference was also made to the decision of the Supreme Court in the case of Kerala Financial Corpn v. CIT  210 ITR 129/75 Taxman 573, wherein the court affirmed its earlier decision in the case of State Bank of Travancore (supra) and held that the interest which had accrued on sticky advances has to be treated as income of the assessee and as such is taxable. The court added that if ultimately, it would be established by the assessee that the advance has taken the shape of bad debt, refund of tax paid on interest becomes due and the same can be paid to the assessee in accordance with law. The decision of the Supreme Court in the case of Keshav Mills Ltd. v. CIT  23 ITR 230, was cited for the proposition that the primary object of the Income-tax Act is to tax and not to merely ascertain an income. The computation of the income tax is subsidiary and is only for the purposes of ascertaining the quantum of tax. Therefore, if the legislature chooses to lay down different methods of computation and say that taxation shall be on the amount so computed, it is essential that these methods be adhered to. In some cases, this may be to the advantage of the assessee and in others, it may operate to his disadvantage but that is immaterial. The court, in the facts of the said case, found that the method of accounting is the mercantile system. The court held that the essential difference between this and the cash basis system is that in the latter, actual receipts and disbursements are taken into account. In the former, sums which are due to the business are entered on the credit side immediately they are legally due and before they are actually received and expenditures are entered the moment a legal liability to pay arises before the actual disbursements. The profit or loss at the end of the accounting year is, therefore based, not on the difference between what was actually received and what was actually paid out, but on the difference between the right to receive and the liability to pay. The court found it impossible to say that in such a case, the taxation is on the income, or profits and gains which were received. The court held that it can only be on profits which accrue or arise to the assessee in the accounting year. Mr. Bhatt submitted that, therefore, the consistent view adopted by the Supreme Court is that when the assessee follows the mercantile system of accounting, the liability arises the moment the right to receive accrues. It was submitted that in the facts of the present case, as the NPAs have not been written off, the right to receive interest thereon accrues to the assessee in the assessment year under consideration, and hence, the Assessing Officer was wholly justified in holding that the assessee is liable to pay tax on the interest on NPA. 6.3 Reference was made to the decision of the Supreme Court in the case of State Bank of Travancore v. CIT  158 ITR 102/24 Taxman 337, wherein the court was of the view that the concept of real income cannot be so used as to make accrued income non-income simply because after the event of accrual, the assessee neither decides to treat it as a bad debt nor claims deductions under section 36(2) of the Act but still enters the same with a diminished hope of recovery in the suspense account. The court held that the concept of reality of the income and the actuality of the situation are relevant factors which go to the making up of the accrual of income but once accrual takes place and the income accrues, the same cannot be defeated by any theory of real income. It was submitted that the Supreme Court is alive to the concept of real income, but that is at the stage of pre-accrual. Once there is accrual, the provisions of section 5 of the Act take over and the assessment would be on the basis of the accounting principle followed by the assessee. 6.4 It was submitted that the above decision came to be distinguished by the Supreme Court in the case of UCO Bank v. CIT  237 ITR 889/104 Taxman 547, only on the limited ground that the circular dated 09.10.1984 was not noted. However, in the said decision, it has not been held that there is no accrual of income. Mr. Bhatt drew the attention of the court to the findings recorded in the above decision in respect of the binding effect of a circular under section 119 of the Act, wherein the court has, inter alia, observed that the circular of 9th October, 1984, provides a test for recognising whether the claim for interest can be treated as a doubtful claim unlikely to be recovered or not. The test provided by the said circular is to see whether at the end of three years, the amount of interest has, in fact, been recovered by the bank or not. If it is not recovered for a period of three years, then in the fourth year and onwards, the claim for interest has to be treated as a doubtful claim which need not be included in the income of the assessee until it is actually recovered. It was submitted that if the circular applies, the conditions of the circular must be met with, whereas the Tribunal has not gone into the applicability of 1984 circular. In case the circular applies, there is no finding as to whether the assessee meets with the conditions under the circular. It was submitted that even if the circular of 1984 were to apply, the foundation for applicability of the same has to be laid. It was argued that at the relevant time when the circular was issued, section 43D of the Act was not on the statute book. Therefore, once the provision is enacted, the circular loses its force and that even if the circular were to apply, the applicability thereof would have to be ascertained. It was submitted that the assessee not being a non-banking financial corporation and in view of the insertion of section 43D of the Act, which clearly demarcates the classes of assessees entitled to the benefit of sticky loans, the circular stands impliedly overruled and that assuming that the 1984 circular applies, foundation would have to be laid for applicability thereof, whereas in the facts of the present case, no such foundation has been laid. It was submitted that in view of the decision of the Supreme Court in State Bank of Travancore (supra), the real income concept does not come into the picture and the actual receipt cannot be taken into consideration. 6.5 Strong reliance was placed upon the decision of the Supreme Court in Southern Technologies Ltd. v. Jt. CIT  320 ITR 577/187 Taxman 346, wherein the court has held that the RBI Directions, 1998 have nothing to do with the accounting treatment or taxability of income under the Income-tax Act, 1961 and the two, viz., the Income-tax Act, 1961 and the RBI Directions, 1998 operate in different fields. It was submitted that as per the said decision, so far as the liability to income tax is concerned, it is governed by the provisions of the Income-tax Act and the RBI Directions have nothing to do with the computation and taxability of income accrued by way of interest on NPA under the Income-tax Act. It was argued that the norms decided by the Reserve Bank of India do not impinge upon the provisions of the Income-tax Act. Income has to be assessed only under the provisions of the Income-tax Act. Accordingly, once income accrues, liability to tax arises. It was contended that if as per the Supreme Court, accrual itself did not occur, it would have remarked, while discussing the provisions of section 43D of the Act, that as there is no accrual itself, the said provisions itself is redundant. In fact, insertion of section 43D of the Act itself recognised recognition of taxability of such interest. 6.6 Reliance was placed upon the decision of the Madras High Court in CIT v. Sakthi Finance Ltd.  352 ITR 102/214 Taxman 21/31 taxmann.com 305, wherein the court by a careful reading of the case of Southern Technologies Limited, (supra) was of the view that the assessee has to prove in each case that interest not recognised or not taken into account was in fact due to uncertainty in collection of interest and it is for the Assessing Officer to examine facts of each individual case. The court held that mere characterisation of an account as an NPA would not by itself be sufficient to say that there is uncertainty as regards realisability of income or interest income thereon. Accrual of interest is a matter of fact to be decided separately for each case on the basis of examination of the facts and circumstances. The same would require an assessment of the relevant facts and circumstances of each case. Only by assessment of facts and circumstances, the authority would arrive at a decision whether there is uncertainty of interest accrued on NPA. Only when there is uncertainty of realisability of income or interest income then it is not chargeable to tax. The system of accounting followed only recognises it bringing the income to books. The adopted accounting policy, that is, recognising income on NPA accounts only subject to realisation, does not serve as a standard category. 6.7 Reliance was placed upon the decision of the Karnataka High Court in the case of Karnataka Bank Ltd. v. Asstt. CIT  356 ITR 549/216 Taxman 192/34 taxmann.com 150, which is a converse case wherein the income tax authorities relied upon the RBI guidelines for the purpose of contending that the assessee is estopped from treating the investment as stock-in-trade. The court, placing reliance upon the decision of the Supreme Court in the case of Southern Technologies Ltd.(supra) held that a method of accounting adopted by the tax-payer consistently and regularly cannot be discarded by the departmental authorities on the view that he should have adopted a different method of keeping the accounts or on valuation. The court held that for the purpose of the Income-tax Act, if the assessee had consistently been treating the value of investment for more than two decades as stock-in-trade and claimed depreciation, it is not open to the authorities to disallow the depreciation on the ground that in the balance sheet, it is shown as investment in terms of the RBI Guidelines. The court held that the RBI Regulations, the Companies Act and the Income-tax Act operate altogether in different fields. The question whether the assessee is entitled to a particular deduction or not will depend upon the provision of law relating thereto and not the way, in which the entries are made in the books of account. It is not decisive or conclusive in the matter. For the purpose of the Income-tax Act whichever method is adopted by the assessee, a true picture of the profits and gains, that is, real income is to be disclosed. 6.8 Reliance was also placed upon the decision of the Supreme Court in the case of P. Mariappa Gounder v. CIT  232 ITR 2, wherein the court held that the decree passed by the court only created an inchoate right in favour of the appellant. It is only when the trial court determined the amount of mesne profits that the right to receive the same accrued in favour of the appellant. In other words, the liability became ascertained only when the order of the trial court was passed and not earlier. Following the mercantile system of accounting, the mesne profits awarded by the order dated 22nd December, 1962 was rightly taxed in the assessment year 1963-64 and it was wholly irrelevant as to when the amount awarded was in fact realised by the assessee. The decision of the Supreme Court in the case of CIT v. Kalinga Tubes Ltd.  218 ITR 164/84 Taxman 435, was cited wherein the court referred to its earlier decision in the case of Kedarnath Jute Mfg. Com. Ltd and observed that the said decision clearly lays down the legal proposition that when the assessee is following the mercantile system of accounting, in case of sales tax payable by the assessee, the liability to pay sales tax would accrue the moment the dealer made sales, which are subject to sales tax. At that stage, the obligation to pay the tax arises. Raising of dispute in this connection before the higher authorities would be irrelevant. 6.9 The decision of the Supreme Court in the case of Babulal Narottamdas v. CIT  187 ITR 473/55 Taxman 3, was relied upon wherein the Income Tax Officer assessed income of the assessee including the special remuneration paid to the assessee which, however, was not paid on account of litigation and rejected the contention that no amount was due as extra remuneration in several years and that no income had accrued on account of such extra remuneration. The Supreme Court held that the assessee acquired the right to receive the extra remuneration of Rs.15,000/- per annum on the basis of the resolution passed by the company on 20th July, 1949. The right to receive extra remuneration arose only on the resolution of the company. In view of the resolution, such amount had become payable to the assessee by the company at the end of the accounting year. What was deferred on account of the pending litigation was not the accrual of right but the date of payment. The court held that since the resolution created a right in favour of the assessee to receive the extra remuneration at the agreed rate, the assessee acquired the right to receive that income by virtue of the resolution and not by virtue of the judgment which held the resolution to be valid. The court, accordingly, did not find any force in the contention that until the suit is finally decided by the court, no right is said to have accrued to the assessee. Reference was made to the decision of the Supreme Court in the case of KCP Ltd. v. CIT  245 ITR 421/112 Taxman 66, wherein, during the assessment year 1972-73, the appellant company collected an amount of Rs.14,96,130/- in excess of the levy price of sugar fixed by the Government for that year. The court held that the excess amount of Rs.14,96,130/- was realised by the appellant company in the ordinary manner of its business activities and as the price of sugar sold by it. The amount was retained by the assessee as price of sugar sold by it though the right of the appellant company to realise the said amount was subject of dispute and though the excess amount was retained in a separate account, that would not make any difference. Merely maintaining a separate account under a heading given by the assessee would not alter the nature of the receipt if it is actually a trading receipt. The court held that the transfer of the amount to the Sugar Equalisation Fund of the Government would not have any bearing on the taxability of the amount which was a trading receipt in the assessment year 1972-73. 6.10 The decision of the Supreme Court in the case of CIT v. A. Gajapathy  53 ITR 114, was cited wherein the court observed that an income accrues or arises when the assessee acquires a right to receive the same. It is common place that there are two principal methods of accounting for the income, profits and gains of a business; one is the cash basis and the other, the mercantile basis. The latter system of accountancy “brings into credit what is due immediately it becomes legally due and before it is actually received; and it brings into debit expenditure the amount for which a legal liability is incurred before it is actually disbursed.” The court held that if the Income Tax Officer comes to the conclusion that such a right accrued or arose to the assessee in a particular accounting year, he shall include the said income in the assessment of the succeeding assessment year. No power is conferred on the Income Tax Officer to relate back an income that accrued or arose in a subsequent year to another earlier year on the ground that the said income arose out of an earlier transaction. Nor is the question of re-opening of accounts relevant in the matter of ascertaining when a particular income accrued or arose. 6.11 The decision of the Supreme Court in the case of CIT v. Shivprakash Janak Raj & Co. (P.) Ltd.  222 ITR 583/88 Taxman 536, was cited for the proposition that a mere book-keeping entry cannot be income, unless income has actually resulted. The concept of real income cannot be employed so as to defeat the provisions of the Act and the rules. Where the provisions of the Act and the rules apply, it is only those provisions which must be applied or followed. There is no room nor would it be permissible for the court to import the concept of real income so as whittle down, qualify or defeat the provisions of the Act and the rules. 6.12 Next it was submitted that the assessee being a co-operative bank does not fall under any of the categories specified under section 43D of the Act which provides for payment of tax on interest on bad debts or doubtful debts only in the year of receipt and, therefore, is not entitled to the benefit of section 43D of the Act, and hence, is liable to pay tax on the interest income accrued to it under the mercantile system of accounting, whether or not it has been actually received. It was contended that when the legislature has made a specific provision for specific entities, the same would cover only those entities; therefore, section 43D of the Act would not be attracted in the present case. It was submitted that when a specific provision in the nature of section 43D of the Act has been made, and entities like the assessee are excluded from the purview thereof, the assessee cannot indirectly claim benefit which would amount to a benefit similar to that under section 43D of the Act. 6.13 It was also submitted that the Circular of 1984 is not applicable to the case at hand for more than two reasons. Firstly, after insertion of section 43D of the Act, only specified assessees have been given benefit and that too by fulfilling certain conditions. Secondly, the circular of 1984 is with regard to NBFC’s, whereas the assessee is a co-operative bank. Further, even for applicability of the circular, the conditions enumerated therein are required to be fulfilled and no such exercise has been done in the instant case. According to the learned counsel, the circular cannot be given effect to more than what is intended. In this regard the attention of the court was invited to the findings recorded by the Commissioner (Appeals) in paragraph 3.10 of his order. 6.14 It was, accordingly, urged that the impugned order being not in consonance with the law laid down by the Supreme Court in the case of Southern Technologies Ltd. (supra) and the consistent view adopted by the Supreme Court, deserves to be quashed and set aside and the appeal deserves to be allowed. 7. Mr. J.P. Shah, learned counsel for the respondent submitted that under the Income-tax Act, it is the income which has accrued to the assessee which is exigible to tax. The income which accrues should be real income and not hypothetical income. It was submitted that when an account is treated as NPA, there is hardly any likelihood of receipt of interest thereon. According to the learned counsel, the mercantile system of accounting can be relevant only to determine the point of time at which taxability is attracted, it cannot be relied upon to determine whether the income has, in fact, resulted or materialised in favour of the assessee. It was submitted that as per the provisions of section 45Q of the RBI Act, the provisions of Chapter III-B thereof have an overriding effect over the provisions of all other laws. It was submitted that the RBI Guidelines having been issued under the said Chapter, would prevail over the provisions of the Income-tax Act, and accordingly, interest income in respect of NPA is to be recognised in terms of the prudential norms. Moreover, in view of the provisions of section 145(1) of the Act and the RBI Guidelines, it was incumbent upon the assessee to conform to the mandatory accounting standards and that the system of accounting consistently followed by the assessee was in conformity with the accounting standards which, inter alia, provide that interest on NPA is not to be treated as income unless the same is actually received. It was submitted that in view of the provisions of section 145(1) of the Act and sections 209 and 211 of the Companies Act, the assessee was obliged to conform to the mandatory accounting methods and that the system of accounting followed by the assessee was in conformity with the accounting standards. It was submitted that the Supreme Court in Southern Technologies Ltd. (supra) has clearly recognised the theory of real income and held that notwithstanding that the assessee may be following the mercantile system of accounting, it can be taxed on real income and not accrued interest, which is hypothetical income. Strong reliance was placed upon the decision of the Delhi High Court in the case of CIT v. Vasisth Chay Vyapar Ltd.  330 ITR 440/196 Taxman 169/ 8 taxmann.com 145, wherein the court has held that where interest was not received on NPA, it could not be treated to have accrued in favour of the assessee or the real income in the hands of the assessee. It was pointed out that the court has recorded that on a close reading of the decision of the Supreme Court in Southern Technologies Ltd.(supra), it is clear that the Supreme Court has observed that insofar as permissible deductions or exclusions under the Act are concerned, the same are admissible only if such deductions/exclusions satisfy the relevant conditions stipulated therefor under the Act. However, the Supreme Court has made a distinction with regard to “income recognition” and held that income has to be recognised in terms of the prudential norms even though the same deviated from the mercantile system of accounting and/or section 145 of the Act. That it can be said that the apex court approved the real income theory which is engrained in the prudential norms for recognition of revenue by NBFC. 7.1 Mr. Shah further submitted that it would, therefore, be the real income which would be required to be taken into consideration unless there is a provision to the contrary. It was pointed out that the Supreme Court in Southern Technologies Ltd. (supra) was dealing with a case of bad debt viz., section 36(1)(vii) of the Act. According to the learned counsel, the judgment is divisible in two parts: (i) real income theory, and (ii) if there is a provision governing a situation like deduction under section 36(1)(vii) of the Act, a portion is culled out to be governed by the statutory provision. It was submitted that when there is no real income in the case of the assessee, to non-suit him there has to be a provision to the contrary in the Income-tax Act. 7.2 Reliance was placed upon the decision of the Delhi High Court in DIT v. Brahamputra Capital Financial Services Ltd.  335 ITR 182/201 Taxman 64/12 taxmann.com 387, wherein the court followed its earlier decision in the case of Vasisth Chay Vyapar Ltd. (supra). The decision of the Karnataka High Court in CIT v. Canfin Homes Ltd.  347 ITR 382/ 201 Taxman 273/13 taxmann.com 43, was cited wherein the court has held that if an assessee adopts the mercantile system of accounting and in his accounts he shows a particular income as accruing, whether that amount is really accrued or not is liable to bring the said income to tax. His accounts should reflect true and correct statement of affairs. Merely because the said amount accrued was not realised immediately, cannot be a ground for avoiding payment of tax. But, if in his account, it is clearly stated that though a particular income is due to him but it is not possible to recover the same, then it cannot be said to have accrued and the said amount cannot be brought to tax. The court found the contention of the revenue that in case of non-performing assets, even if they do not yield any income as the assessee has adopted a mercantile system of accounting, he has to pay tax on the revenue which has accrued notionally, to be without any basis. Reliance was placed upon the decision of the Madras High Court in CIT v. Coimbatore Lakshmi Inv. & Finance Co. Ltd.  331 ITR 229/11 taxmann.com 261, for the proposition that if no income is recognised at all from an asset, there is no question of applying the principle of accrual. The principle of “accrual of income” comes into play only when the income is recognised. In the facts of the said case, the assessee had classified its assets on the basis of the notification issued by the Reserve Bank of India. From the non-performing assets, the assessee had not recognised any income and was justified in not recognising the income as such. The court held that once that was the case, there was no occasion to consider whether the principle of “accrual” would arise or not. Reliance was also placed upon the decision of the Allahabad High Court in CIT v. Kailash Auto Finance Ltd.  320 ITR 394, wherein the court observed that the apex court in the case of United Commercial Bank v. CIT  240 ITR 355/106 taxman 601 has held that interest shown by the bank on sticky advance and doubtful loans and not brought into the profit and loss account cannot be included in the income of the assessee till such time interest is not actually received. The court further observed that a similar view has been taken by the apex court in the case of Mercantile Bank Ltd. v. CIT  283 ITR 84/153 Taxman 97. The court held that the principle laid down in the said decisions would be applicable to the said case as the respondent assessee was not obliged to provide for hire charges and lease rental on non-performing assets in view of the RBI guidelines. ‘In the present case, the circulars which have been in force are meant to ensure that while assessing the income accrued by way of interest on a “sticky” loan, the notional interest which is transferred to a suspense account pertaining to doubtful loans would not be included in the income of the assessee, if for three years such interest is not actually received. The very fact that the assessee, although generally using a mercantile system of accounting, keeps such interest amounts in a suspense account and does not bring these amounts to the profit and loss account, goes to show that the assessee is following a mixed system of accounting by which such interest is included in its income only when it is actually received. Looking to the method of accounting so adopted by the assessee in such cases, the circulars which have been issued are consistent with the provisions of section 145 and are meant to ensure that assessees of the kind specified who have to account for all such amounts of interest on doubtful loans are uniformly given the benefit under the circular and such interest amounts are not included in the income of the assessee until actually received if the conditions of the circular are satisfied. The circular of October 9, 1984, also serves another practical purpose of laying down a uniform test for the assessing authority to decide whether the interest income which is transferred to the suspense account is, in fact, arising in respect of a doubtful or “sticky” loan. This is done by providing that non-receipt of interest for the first three years will not be treated as interest on a doubtful loan. But if after three years the payment of interest is not received, from the fourth year onwards it will be treated as interest on a doubtful loan and will be added to the income only when it is actually received. It was submitted that the circular has not been revoked by the Board after the coming into force of section 43D of the Act and hence, the same is still operative and binding upon the income tax authorities. Accordingly, even in terms of the circular the interest on NPA cannot be treated as income of the assessee, except in the year when it is actually received. 7.6 Reliance was also placed upon the decision of the Supreme Court in the case of CIT v. Excel Industries Ltd.  358 ITR 295/219 Taxman 379/38 taxmann.com 100, for the proposition that if the same ‘fundamental aspect’ permeates in different assessment years, it would not be appropriate to allow reconsideration of an issue for a subsequent year. It was submitted that the respondent has been following the practice of not showing the interest on NPA as its income on accrual basis but on receipt basis, however, in the past, no attempt has been made to tax this income. Under the circumstances, the revenue cannot be allowed to flip-flop on the issue and it ought to let the matter at rest in view of the law laid down by the Supreme Court in the above decision. It was, accordingly, urged that the view adopted by the Tribunal is in consonance with the view laid down by the Supreme Court in this regard and there being no infirmity in the impugned order, there is no warrant for interference by this court. 8. In rejoinder, Mr. M.R. Bhatt, learned counsel for the appellant submitted that insofar as the decision of the Supreme Court in the case of Excel Industries Ltd.(supra) is concerned, the same in fact goes against the assessee inasmuch as, the Supreme Court has held that income accrues when it becomes due but it must also be accompanied by a corresponding liability of the other party to pay the amount. Only then can it be said for the purposes of taxability that the income is not hypothetical and it has really accrued to the assessee. It was submitted that in the facts of the present case, there is a liability on the part of the other party to pay the interest on the NPA. Under the circumstances, the interest thereon has accrued to the assessee and the assessee is liable to pay tax thereon. 10. The facts as emerging from the record are that assessee filed return of income for assessment year 2010-11 on 30.09.2010 declaring total income of Rs.1,55,66,430/-wherein it did not show interest income on non-performing assets. The assessment was picked up for scrutiny and notice came to be issued to the assessee under section 142(2) of the Act inter alia calling upon the assessee to furnish details of interest accrued on non-performing assets. The assessee furnished such details and stated that such interest was not charged as mandatorily stipulated under Income Recognition and Assets Classification Norms of the Reserve Bank of India. The assessee placed strong reliance upon the Master Circular issued by the RBI on income recognition, assets classification, provisioning and other related matters up to 30.06.2008 and stated that in compliance of the circular no interest had been charged by it on NPA. It was further the case of the assessee that the interest if charged on NPA would further enhance the NPAs as recovery of the NPA amount is itself not certain. It was further stated that even under the Income-tax Act, 1961 such amount cannot be taxed since no interest has ever accrued nor has been charged. In this regard, reliance was placed upon the C.B.D.T. Circular bearing F.No.201/21/84-ITA-II, dated 09.10.1984. 10.1 The Assessing Officer was of the view that the circular would not be applicable to the assessee as the same was applicable only to Banking Companies and the assessee is a co-operative bank and not a banking company. Further that all case law referred to by the assessee pertained to Non-Banking Financial Institutions and scheduled banks whereas the assessee is a co-operative bank and as such both the institutions are differently governed by the RBI in terms of regulations. The Assessing Officer held that the assessee should have offered the interest on the NPAs as income for the assessment year under consideration and that even if due to the prudential norms of the RBI Act, the bank does not recognise it as income for the particular financial year in which it accrued but offers the same on actual receipt, as a remedial measure, in order to comply with the provisions of the Income-tax Act, 1961 – the assessee can prepare book of accounts under prudential norms of the RBI Act and can add back the accrued interest directly to the total income for the purposes of taxation keeping in view the principles of accountancy and to honour the Income-tax Act. Accordingly, an addition of Rs.1,72,73,000/- came to be made to the total income of the assessee being the undisclosed income in form of accrued interest on non-performing assets. 10.2 The Commissioner (Appeals) placed reliance upon the decision of the Supreme Court in the case of Southern Technologies Ltd. (supra) and held that there is no merit in the contention of the assessee that under commercial accounting, interest on NPAs cannot be charged. On the question of applicability of the CBDT Circular, dated 9.10.1984, the Commissioner (Appeals) held that the same would not be applicable for the reason that the provisions of section 43D of the Act are clear and cannot be overridden through delegated legislation viz. circulars and notifications. The Commissioner (Appeals) was further of the opinion that the statutory provisions were brought on the Act much later than the said circular (which was issued in 1984) and therefore the said circular would not have any effect or binding force upon the Assessing Officer. He, accordingly, upheld the addition of Rs.1,72,73,000/- made by the Assessing Officer on account of accrued interest on NPAs. At the outset, we may state that in essence RBI Directions 1998 are Prudential/Provisioning Norms issued by RBI under Chapter IIIB of the RBI Act, 1934. These Norms deal essentially with Income Recognition. They force the NBFCs to disclose the amount of NPA in their financial accounts. They force the NBFCs to reflect “true and correct” profits. By virtue of Section 45Q, an overriding effect is given to the Directions 1998 vis-a-vis “income recognition” principles in the Companies Act, 1956. These Directions constitute a code by itself. However, these Directions 1998 and the IT Act operate in different areas. These Directions 1998 have nothing to do with computation of taxable income. These Directions cannot overrule the “permissible deductions” or “their exclusion” under the IT Act. The inconsistency between these Directions and Companies Act is only in the matter of Income Recognition and presentation of Financial Statements. The Accounting Policies adopted by an NBFC cannot determine the taxable income. It is well settled that the Accounting Policies followed by a company can be changed unless the AO comes to the conclusion that such change would result in understatement of profits. However, here is the case where the AO has to follow the RBI Directions 1998 in view of Section 45Q of the RBI Act. Hence, as far as Income Recognition is concerned, Section 145 of the IT Act has no role to play in the present dispute. In Solapur Siddheswar Sahakari Bank Ltd., (supra) reliance was also placed upon the decision of the Madras High Court in the case of Sakthi Finance Ltd. (supra), the Tribunal, however, in view of the decision of the Supreme Court in CIT v. Vegetable Products Ltd.  88 ITR 192, was inclined to follow the decision of the Delhi High Court which was favourable to the assessee. 11. From the rival submissions advanced by the learned counsel for the respective parties, it is evident that there is no dispute that the RBI Guidelines are applicable to the assessee. It is the case of the assessee that in view of the RBI Guidelines, it cannot charge interest on accrual basis and that following the theory of real income, taxability of any notional income like accrued interest on NPAs would not arise. It has also been contended that even otherwise in view of the CBDT Circular bearing F No.201/21/84-ITA-II, dated 09.10.1984, interest on accrual basis is not taxable if not received for three years even though credited to the suspense account. 12. Thus, though the assessee follows the mercantile system of accounting, in terms of the RBI Guidelines which the assessee is bound to follow, certain assets were required to be declared as non-performing assets, accordingly, the income pertaining to such assets has not been considered as income by the assessee. In this background the question as to whether in view of the guidelines of the Reserve Bank of India, interest on non-performing assets is taxable on accrual basis, is required to be considered. 13. The law in respect of various aspects touching the controversy in issue has been extensively dealt with in the above decisions on which reliance has been placed by the learned counsel for the parties. The earlier decisions are on the question of real income theory and the applicability of the CBDT Circular to the NBFCs and Banking Companies, etc. The decision on which both the learned counsel have placed strong reliance is in the case of Southern Technologies Ltd. (supra) wherein the applicability of the RBI Guidelines vis-à-vis the provisions of Income-tax Act, 1961 has been discussed. As noted hereinabove the Delhi High Court in Vasisth Chay Vyapar Ltd. (supra) has interpreted the said decision in favour of the assessee by placing reliance upon the observations made in paragraph 40 of the decision, whereas the Madras High Court in Sakthi Finance Ltd. (supra) has interpreted the said decision against the assessee. 14. Before adverting to the above decisions, it may be germane to refer to the historical background in respect of the controversy in issue. It appears that right from August, 1924 the distinction between an irrecoverable loan and a sticky loan was recognised by the Central Board of Revenue as also by the Reserve Bank of India in their diverse circulars in the case of banks, financial institutions and money lenders regularly following the mercantile system of accounting and instructions had been issued not to treat the unrealized interest on such sticky loans as income by carrying it to ‘Profit and Loss Account’ so that the figure of distributable profits should not get inflated and preferably to credit the same to a special account such as ‘Interest Suspense Account’ and if the banks, financial institutions and money lenders, who kept their accounts on mercantile system, maintained a suspense account in which the unrealized interest was entered, the same should not be included in the assessee’s taxable income, if the Income Tax Officer was satisfied, that there was little probability of the loans being repaid. In State Bank of Travancore’s case (supra) the assessee a subsidiary of the State Bank of India, used to maintain accounts on mercantile system making entries on accrual basis. The assessee adopted the calendar year as its previous year and the calendar years 1964, 1965 and 1966 were respectively the relevant previous years for Assessment Years 1965-66, 1966-67 and 1967-68 to which the question related. In the course of its banking business the assessee charged interest on advances considered doubtful of recovery otherwise called sticky advances by debiting the concerned parties but instead of carrying it to its “Profit and Loss Account” credited the same to a separate account styled ‘Interest “suspense account” as the principal amounts of these sticky advances themselves had become, not bad or irrecoverable but extremely doubtful of recovery. However, in its returns the assessee disclosed such interest separately and claimed that the same was not taxable in its hands as income for the concerned years. The contention of the assessee was rejected at all levels principally on two grounds (a) since admittedly the assessee was following the mercantile system of accounting such interest had accrued to it at the end of each accounting year and (b) the assessee had itself shown the accrual of such interest by charging the same to the concerned parties by making debit entries in their accounts. The Supreme Court held that the concept of reality of the income and the actuality of the situation are relevant factors which go to the making up of the accrual of income but once accrual takes place and income accrues, the same cannot be defeated by any theory of real income. The court observed that with a problem like the present one, it is better to adhere to the basic fundamentals of the law with clarity and consistency than to be carried away by common clichés. The concept of real income certainly is well-accepted one and must be applied in appropriate cases but with circumspection and must not be called in aid to defeat the fundamental principles of law of income tax as developed. 6. The assessee’s method of accounting, therefore, transferring the (sic interest on) doubtful debt to an interest suspense account and not treating it as profit until actually received is in accordance with accounting practice. 10. The question whether interest earned, on what have come to be known as “sticky” loans, can be considered as income or not until actual realization, is a question which may arise before several Income Tax Officers exercising jurisdiction in different parts of the country. Under the accounting practice, interest which is transferred to the suspense account and not brought to the profit and loss account of the company is not treated as income. The question whether in a given case such “accrual” of interest is doubtful or not, may also be problematic. If, therefore, the Board has considered it necessary to lay down a general test for deciding what is a doubtful debt, and directed that all Income Tax Officers should treat such amounts as not forming part of the income of the assessee until realized, this direction by way of a circular cannot be considered as travelling beyond the powers of the Board under Section 119 of the Income-tax Act. Such a circular is binding under Section 119. The circular of 9-10-1984, therefore, provides a test for recognising whether a claim for interest can be treated as a doubtful claim unlikely to be recovered or not. The test provided by the said circular is to see whether at the end of three years, the amount of interest has, in fact, been recovered by the bank or not. If it is not recovered for a period of three years, then in the fourth year and onwards the claim for interest has to be treated as a doubtful claim which need not be included in the income of the assessee until it is actually recovered. 14. There are, however, two decisions of this Court which have been strongly relied upon by the respondents in the present case. The first decision is the majority judgment in State Bank of Travancore v. CIT1 decided by a Bench of three Judges of this Court by a majority of two to one. This judgment directly deals with interest on “sticky advances” which have been debited to the customer but taken to the interest suspense account by a banking company. The majority judgment has referred to the circular of 6-10-1952 and its withdrawal by the second circular of 20-6-1978. The majority appears to have proceeded on the basis that by the second circular of 20-6-1978 the Central Board had directed that interest in the suspense account on “sticky” advances should be includible in the taxable income of the assessee and all pending cases should be disposed of keeping these instructions in view. The subsequent circular of 9-10-1984 by which, from Assessment Year 1979-80 the banking companies were given the benefit of the circular of 9-10-1984, does not appear to have been pointed out to the Court. What was submitted before the Court was, that since such interest had been allowed to be exempted for more than half a century, the practice had transformed itself into law and this position should not have been deviated from. Negativing this contention, the Court said that the question of how far the concept of real income enters into the question of taxability in the facts and circumstances of the case, and how far and to what extent the concept of real income should intermingle with the accrual of income, will have to be judged “in the light of the provisions of the Act, the principles of accountancy recognised and followed and the feasibility”. The Court said that the earlier circulars being executive in character cannot alter the provisions of the Act. These were in the nature of concessions which could always be prospectively withdrawn. The Court also observed that the circulars cannot detract from the Act. The decision of the Constitution Bench of this Court in Navnit Lal C. Javeri v. K.K. Sen,  56 ITR 198 or the subsequent decision in K.P. Varghese v. ITO,  4 SCC 172 also do not appear to have been pointed out to the Court. Since the latter circular of 9-10-1984 was not pointed out to the Court, the Court naturally proceeded on the assumption that the benefit granted under the earlier circular was no longer available to the assessee and those circulars could not be resorted to for the purpose of overcoming the provisions of the Act. Interestingly, the concurring judgment of the second Judge has not dealt with this question at all but has decided the matter on the basis of other provisions of law. 15. The said circulars under Section 119 of the Income-tax Act were not placed before the Court in the correct perspective because the latter circular continuing certain benefits to the assessees was overlooked and the withdrawn circular was looked upon as in conflict with law. Such circulars, however, are not meant for contradicting or nullifying any provision of the statute. They are meant for ensuring proper administration of the statute, they are designed to mitigate the rigours of the application of a particular provision of the statute in certain situations by applying a beneficial interpretation to the provision in question so as to benefit the assessee and make the application of the fiscal provision, in the present case, in consonance with the concept of income and in particular, notional income as also the treatment of such notional income under accounting practice. “6. Although the 1952 circular was withdrawn in June 1978 in view of the decision of the Kerala High Court to the contrary in State Bank of Travancore v. CITthe principle was reintroduced by the Central Board of Direct Taxes by another circular dated 9-10-1984. The 1984 circular clarified that up to Assessment Years 1978-79 the taxability of interest on doubtful debts credited to the suspense account would be decided in the light of the Board’s earlier circular dated 6-10-1952 as the said circular was withdrawn only in June 1978. With effect from 1979-80 the new procedure prescribed under the 1984 circular would apply. The procedure prescribed is not relevant for our purposes. But it is clear that the circular issued in 1978 was effectively set aside and rendered ineffective. 34. Vide Para 9, RBI has mandated that every NBFC shall disclose in its balance sheet the provision without netting them from the income or from the value of the assets and that the provision shall be distinctly indicated under the separate heads of account as: (i) provisions for bad and doubtful debts, and (ii) provisions for depreciation in investments in the balance sheet under “current liabilities and provisions” and that such provision for each year shall be debited to the P&L account so that a true and correct figure of “net profit” gets reflected in the financial accounts of the company. The effect of such disclosure is to increase the current liabilities by showing the provision against the possible loss on assets classified as NPA. An NPA continues to be an asset—”debtors/loans and advances” in the books of NBFC. For creating a provision the only yardstick is default in terms of the loan under the RBI norms, a provision is mathematical calculation on time lines. The entire exercise mentioned in the RBI Directions, 1998 is only in the context of presentation of NPA provisions in the balance sheet of an NBFC and it has nothing to do with computation of taxable income or accounting concepts. 35. It is important to note that the net profit shown in the P&L account is the basis for NBFCs to accept deposits and declare dividends. Higher the profits, higher is the NOF and higher is the increase in the public making deposits in NBFCs. Hence, the object of the NBFCs is disclosure and provisioning. NBFCs have to accept the concept of “income” as evolved by RBI after deducting the provision against NPA, however, as stated above, such treatment is confined to presentation/disclosure and has nothing to do with computation of taxable income under the IT Act. 36. Prior to 1-4-1989, the law, as it then stood, took the view that even in cases in which the assessee(s) makes only a provision in its accounts for bad debts and interest thereon and even though the amount is not actually written-off by debiting the P&L account of the assessee and crediting the amount to the account of the debtor, the assessee was still entitled to deduction under Section 36(1)(vii). (SeeCIT v. Jwala Prasad Tiwari, (1953) 24 ITR 537 Bom. and Vithaldas H. Dhanjibhai Bardanwala, 1981 (130) ITR 95. Such state of law prevailed up to and including Assessment Year 1988-1989. However, by insertion (w.e.f. 1-4-1989) of a new Explanation to Section 36(1)(vii), it has been clarified that any bad debt written off as irrecoverable in the account of the assessee will not include any provision for bad and doubtful debt made in the accounts of the assessee. The said amendment indicates that before 1-4-1989, even a provision could be treated as a write-off. However, after 1-4-1989, a distinct dichotomy is brought in by way of the said Explanation to Section 36(1)(vii). Consequently, after 1-4-1989, a mere provision for bad debt would not be entitled to deduction under Section 36(1)(vii). 37. To understand the above dichotomy, one must understand “how to write-off”. If an assessee debits an amount of doubtful debt to the P&L account and credits the asset account like sundry debtor’s account, it would constitute a write-off of an actual debt. However, if an assessee debits “provision for doubtful debt” to the P&L account and makes a corresponding credit to the “current liabilities and provisions” on the liabilities side of the balance sheet, then it would constitute a provision for doubtful debt. In the latter case, the assessee would not be entitled to deduction after 1-4-1989. 38. We have examined the P&L account of First Leasing Company of India Ltd. for the year ending 31- 3-2003. On examination of Schedule J to the P&L account which refers to operating expenses, we find two distinct heads of expenditure, namely, “provision for non-performing assets” and “bad debts/advances written-off”. It is for the appellant(s) to explain the difference between the two to the Assessing Officer. Which of the two items will constitute expenditure under the IT Act has to be decided according to the IT Act. In the present case, we are not concerned with taxability under the IT Act or the accounting treatment. We are essentially concerned with presentation of financial statements by NBFCs under the 1998 Directions. The point to be noted is that even according to the assessee “bad debts/advances written-off” is a distinct head of expenditure vis-à-vis “provision for bad debt”. 43. As stated above, the Companies Act allows an NBFC to adjust a provision for possible diminution in the value of assets or provision for doubtful debts against the assets and only the net figure is allowed to be shown in the balance sheet, as a matter of disclosure. However, the said RBI Directions, 1998 mandate all NBFCs to show the said provisions separately on the liability side of balance sheet i.e. under the head “current liabilities and provisions”. The purpose of the said deviation is to inform the user of the balance sheet the particulars concerning quantum and quality of the diminution in the value of investment and particulars of doubtful and sub-standard assets. Similarly, the 1998 Directions do not recognise the “income” under the mercantile system and insist that NBFCs should follow cash system in regard to such incomes. 51. One must keep in mind another aspect. Reduction in NPA takes place in two ways, namely, by recoveries and by write-off. However, by making a provision for NPA, there will be no reduction in NPA. Similarly, a write-off is also of two types, namely, a regular write-off and a prudential write-off. (See Advanced Accounts by Shukla, Grewal and Gupta, Ch. 26, p. 26.50.) If one keeps these concepts in mind, it is very clear that the RBI Directions, 1998 are merely prudential norms. They can also be called as disclosure norms or norms regarding presentation of NPA provisions in the balance sheet. They do not touch upon the nature of expense to be decided by the AO in the assessment proceedings. 55. The point to be noted is that the IT Act is a tax on “real income” i.e. the profits arrived at on commercial principles subject to the provisions of the IT Act. Therefore, if by Explanation to Section 36(1)(vii) a provision for doubtful debt is kept out of the ambit of the bad debt which is written-off then, one has to take into account the said Explanation in computation of total income under the IT Act failing which one cannot ascertain the real profits. This is where the concept of “add back” comes in. In our view, a provision for NPA debited to P&L account under the 1998 Directions is only a notional expense and, therefore, there would be add back to that extent in the computation of total income under the IT Act. On a close reading of the above decision it appears that in the facts of the said case, the assessee, after making provision for NPA had sought deduction of such amount under section 36(1) (vii) of the Act and alternatively claimed deduction under section 37 of the Act. Clearly, therefore, deduction was sought of an amount which was shown as income in the earlier years. In the present case, we are not concerned with any claim for deduction of provision made for NPA. It is the case of the assessee that in view of the income recognition norms laid down by the RBI, interest on NPA is not to be shown as income and is not to be charged to tax. Thus, this is a case of recognition of income under section 145 of the Act and not a case of deduction under any provision of the Income-tax Act, 1961. 20. Section 45Q finds place in Chapter IIIB of the RBI Act. Thus, the provisions of Chapter IIIB of the RBI Act have an overriding effect qua other enactments to the extent the same are inconsistent with the provisions contained therein. In order to reflect a bank’s actual financial health in its balance sheet, the Reserve Bank has introduced prudential norms for income recognition, asset classification and provisioning for advances portfolio of the co-operative banks. The guidelines provided thereunder are mandatory and it is incumbent upon all co-operative banks to follow the same. Insofar as income recognition is concerned, clause 4.1.1 of the circular provides that the policy of income recognition has to be objective and based on the record of recovery. Income from non-performing assets (NPA) is not recognised on accrual basis but is booked as income only when it is actually received. Therefore, banks should not take to income account interest on non-performing assets on accrual basis. Thus, in view of the mandate of the RBI Guidelines the assessee cannot recognise income from non-performing assets on accrual basis but can book such income only when it is actually received. Thus, this is a case where at the threshold, the assessee, in view of the RBI Guidelines, cannot recognise income from NPA on accrual basis. This is, therefore, a case pertaining to recognition of income and not computation of the income of the assessee. Thus, insofar as income recognition is concerned, the court has held that even the Assessing Officer has to follow the RBI Directions, 1998 in view of section 45Q of the RBI Act and that as far as income recognition is concerned, section 145 of the Income-tax Act, has not role to play. 23. 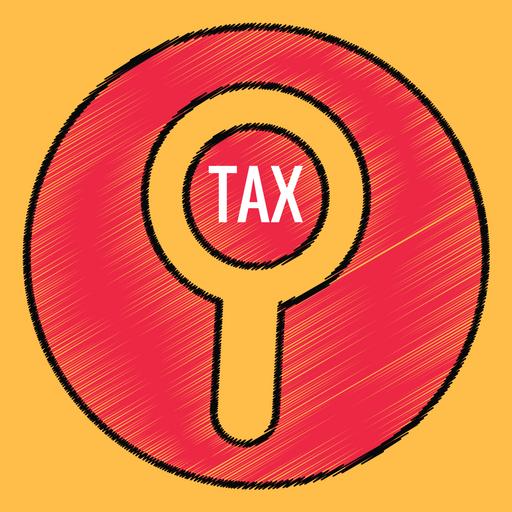 In the light of the above discussion what emerges is that while determining the tax liability of an assessee, two factors would come into play. Firstly, the recognition of income in terms of the recognised accounting principles and after such income is recognised, the computation thereof, in terms of the provisions of the Income-tax Act, 1961. Insofar as the computation of taxability is concerned, the same is solely governed by the provisions of the Income-tax Act and the accounting principles have no role to play. However, recognition of income stands on a different footing. Insofar as income recognition is concerned, it would be the RBI Directions which would prevail in view of the provisions of section 45Q of the RBI Act and section 145 would have no role to play. Hence, the Assessing Officer has to follow the RBI Directions. (1) First of all we would discuss the matter in the light of the provisions of Income-tax Act and to examine as to whether in the given circumstances, interest income has accrued to the assessee. It is stated at the cost of repetition that admitted position is that the assessee had not received any interest on the said ICD placed with Shaw Wallace since the assessment year 1996-97 as it had become NPAs in accordance with the Prudential norms which was entered in the books of accounts as ITA 139/2008,ITA 466/2008, ITA 537/2008,ITA 408/2003 well. The assessee has further successfully demonstrated that even in the succeeding assessment years, no interest was received and the position remained the same until the assessment years 2006-07. Reason was adverse financial circumstances and the financial crunch faced by Shaw Wallace. So much so, it was facing winding up petitions which were filed by many creditors. These circumstances, led to an uncertainty insofar as recovery of interest was concerned, as a result of the aforesaid precarious financial position of Shaw Wallace. What to talk of interest, even the principal amount itself had become doubtful to recover. In this scenario it was legitimate move to infer that interest income thereupon has not “accrued”. We are in agreement with the submission of Mr. Vohra on this count, supported by various decisions of different High Courts including this court which has already been referred to above. (2) In the instant case, the assessee-company being NBFC is governed by the provisions of RBI Act. 25. The distinction drawn by the Delhi High Court is that while the accounting policies of adopted by the NBFC cannot determine the taxable income. However, insofar as income recognition is concerned, the Assessing Officer has to follow the RBI Directions, 1998 in view of section 45Q of the RBI Act. That insofar as income recognition is concerned, section 145 of the Income-tax Act, 1961 has not role to play. “16. In Paragraphs 31 and 34, the Hon’ble Supreme Court in no uncertain terms held that the collectibility of interest is different from accrual and in each and every case, the assessee has to prove that the income interest is not recognised or not taken into account due to uncertainty in collection of the income. It is for the Assessing Officer to accept the claim of the assessee under the Income-tax Act or not to accept. In case of Southern Technologies Limited, (2010) 320 ITR 577, the Assessing Officer accepted the assessee’s case towards non-recognition of interest for Rs.20.34 lakhs as would be apparent from a reading of Paragraph No.31 of the Judgment of the Hon’ble Supreme Court in case of Southern Technologies Limited,  320 ITR 577. By a careful reading of the case of Southern Technologies Limited,  320 ITR 577, we are of the view that the assessee has to prove in each case that interest not recognised or not taken into account was in fact due to uncertainty in collection of interest and it is for the Assessing Officer to examine facts of each individual case. 28. In the light of the view adopted by the court, it is not necessary to enter into any detailed discussion as regards the applicability or otherwise of the CBDT Circular to the facts of the present case. The Supreme Court in UCO Bank, (supra) has held that such circulars are not meant for contradicting or nullifying any provision of the statute. They are meant for proper administration of the statute, they are designed to mitigate the rigours of the application of a particular provision of the statute in certain situations by applying a beneficial interpretation to the provision in question so as to benefit the assessee and make the application of the fiscal provision, in that case, in consonance with the concept of income and in particular, notional income as also the treatment of such notional income under the accounting practice. The court, accordingly, did not find any inconsistency or contradiction between the circular so issued and section 145 of the Income-tax Act. In the aforesaid premise, until the circular is revoked, the same continues to be in force and the same having been issued to mitigate the hardships caused to the class of assessees covered by the circular, such assessees would be entitled to the benefit thereof. Merely because by virtue of the provisions of section 43D of the Act, a certain class of assessees is given benefit under the provisions of the Act would not mean that the same would override the circular. 29. On behalf of the appellant it has been contended that section 43D of the Act itself recognises recognition of taxability of such interest and that when a specific provision in the nature of section 43D of the Act has been made, and entities like the assessee are excluded from the purview thereof, the assessee cannot indirectly claim benefit which would amount to a benefit similar to that under section 43D of the Act. In this regard, it may be noted that the benefit claimed by the assessee is not under any provision of the Income-tax Act, 1961. The assessee being bound by the RBI Guidelines which are issued under the provisions of the RBI Act has not shown the interest on NPA as income. By virtue of the provisions of section 45Q of the RBI Act, the provisions of Chapter IIIB thereof have an overriding effect over other laws including the Income-tax Act, 1961. Therefore, notwithstanding the provisions of section 43D of the Act, since the provisions of section 45Q of the RBI Act have an overriding effect vis-à-vis income recognition principles in the Companies Act, the Assessing Officer is bound to follow the RBI Directions so far as income recognition is concerned. The contention that the assessee cannot indirectly claim the benefit which would amount to a benefit similar to that under section 43D of the Act, therefore, does not merit acceptance. 30. As can be seen from the assessment order, before the Assessing Officer the assessee had inter alia submitted that interest on NPA was not charged as mandatorily stipulated under Income Recognition and Asset Classification norms of the Reserve Bank of India. It has also been submitted that the CBDT circular bearing F.No.201/21/84-ITA-II, dated 9.10.1984 issued under section 119 of the Act for all banking and non-banking financial companies stating that if the interest has not been received for three years, the same will not be taxed as an income even on accrual basis even if interest has been credited to “Interest Suspense Account” would be applicable in its case. The Assessing Officer brushed aside the submission based upon the circular of 1984, on the ground that the same is applicable only to banking companies and not to co-operative banks, on a misconception of law that a co-operative bank is not a banking company. In this regard it may be noted that the expression “banking company” has been defined under section 5(c) of the Banking Regulation Act, 1949 to mean any company which transacts the business of banking in India. Part V of the Banking Regulation Act bears the heading “Application of the Act to Co-operative Societies”. Section 56 thereof provides that the provisions of the Act, as in force for the time being, shall apply to, or in relation to co-operative societies as they apply to, or in relation to banking companies subject to the modifications stated thereunder. Clause (a) of section 56, to the extent the same is relevant for the present purpose, provides that throughout the Act, unless the context otherwise requires, – (i) references to a “banking company” or “the company” or “such company” shall be construed as references to a co-operative bank. Section 2(i) of the RBI Act provides that “co-operative bank”, “co-operative credit society”, “director”, “primary agricultural credit society”, “primary co-operative society” and “primary credit society” shall have the meanings respectively assigned to them in Part V of the Banking Regulation Act, 1949. Evidently therefore, the expression “banking company” would take within its sweep a co-operative bank. The Assessing Officer has thereafter entered into a discussion on the provisions of The Securitisation and Reconstruction of Financial Assets and Enforcement of Security Interest Act, 2002, which provides for enforcement of security interest of banks and financial institutions and has observed that in the instant case, no material has been brought on record by the assessee to prove its efforts made in a bid to recover such debts which are classified as NPA and other categories. The Assessing Officer has also entered into a discussion as regards the quality of management, etc., without even examining as to whether or not there was any probability of interest being received on the NPAs. The Commissioner (Appeals) has placed reliance upon the decision of the Supreme Court in the case of Southern Technologies Limited (supra) and held that there is no merit in the contention of the assessee that under commercial accounting, interest on NPAs cannot be charged. On the question of applicability of the CBDT Circular dated 9.10.1984, the Commissioner (Appeals) held that the same would not be applicable for the reason that the provisions of section 43D of the Act are clear and cannot be overridden through delegated legislation viz. circulars and notifications. The Commissioner (Appeals) was further of the opinion that the statutory provisions were brought on the Act much later than the said circular (which was issued in 1984) and therefore the said circular would not have any effect or binding force upon the Assessing Officer. The view adopted by the Assessing Officer and the Commissioner (Appeals) is clearly contrary to the view expressed by this court hereinabove. The Tribunal was therefore, wholly justified in setting aside the order passed by the Commissioner (Appeals) confirming the assessment order. This entry was posted in Section 145, Section 5 and tagged 395 ITR, Gujarat High Court, In favour of Assessee.